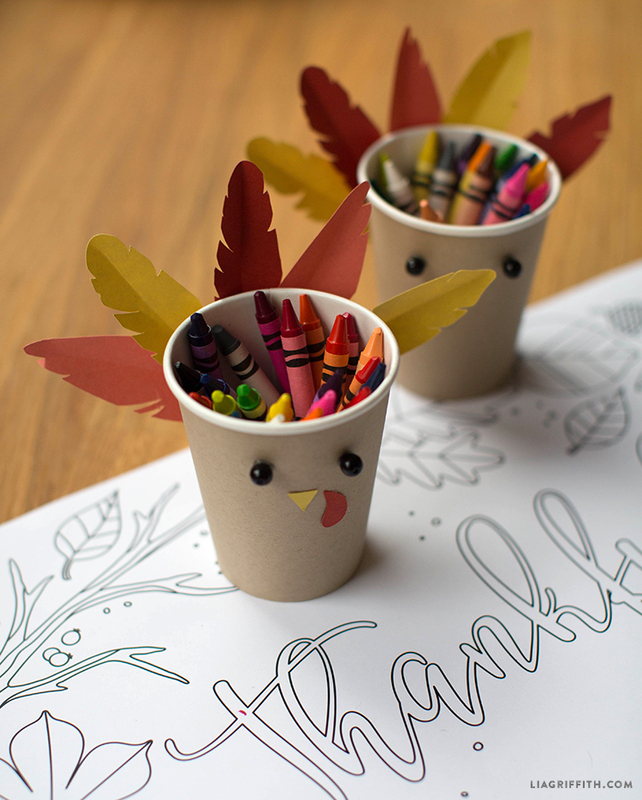 This Thanksgiving, your little ones will gobble up this cute-as-can-be DIY! 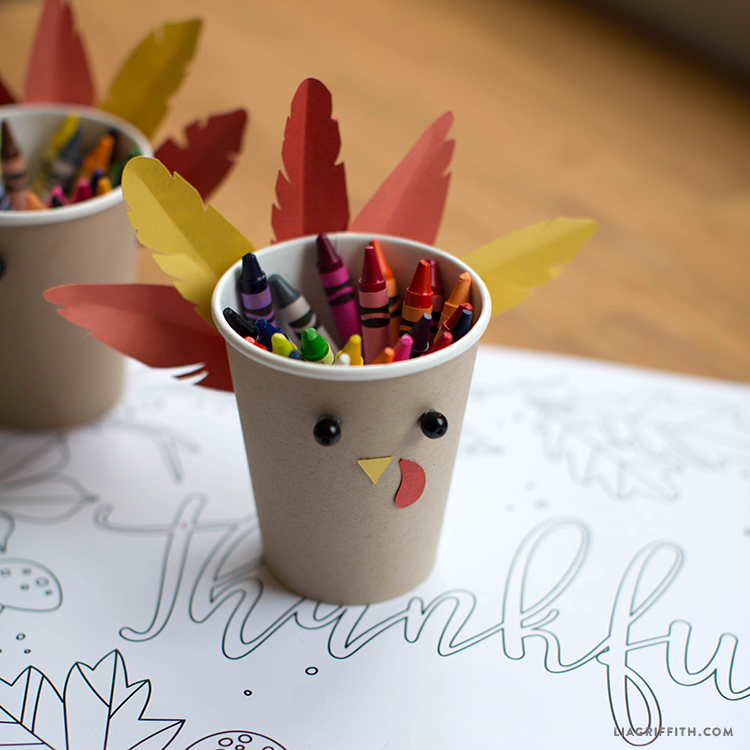 To compliment our kids Thanksgiving coloring place mats, we created this turkey crayon cup. Turn dinner time into an entertaining and engaging festivity! 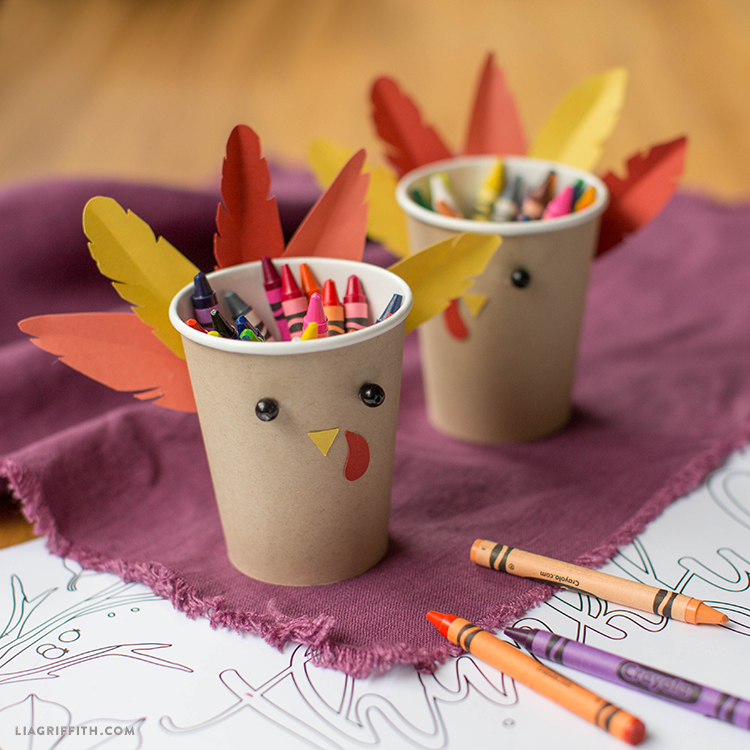 Simply download, cut and assemble for Thanksgiving thrills made easy. We’ve created two sets of downloads for you to choose from. Download our PDFs if you’ll be cutting by hand and the SVG version if cutting with a Cricut. The patterns include a little nose and red gobbler, as well as a cup cover to wrap around an 8oz. paper cup. We used two small black beads for the eyes, but you could also use bits of black paper. Cut your turkey using scissors or a cutting machine. Score the feathers to give them some dimension. Assemble your turkey using a low-temp hot glue gun. Show us what you’re up to! For a chance to have your work featured on our social media channels, use #MadeWithLia when sharing photos of your latest projects.